Capture the moment FAST, with Verbatim's Premium CF cards! Featuring higher data transfer speeds for faster next shot recovery, smoother video capture and playback, and faster photo image transfers to your PC, printer, or photo kiosk. 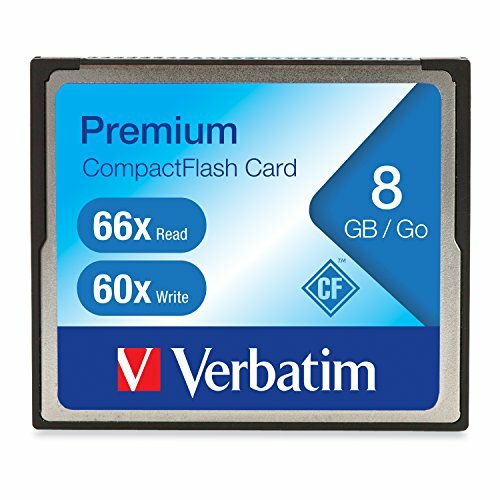 Verbatim Premium CF cards features a minimum Read speed of 66X (10MB/sec) read and a minimum Write speed of 60X (9MB/sec) that just might help you capture that once in a lifetime image instead of waiting on your camera. More photos, less waiting, with Verbatim Premium CF cards.